Todd Curry is the founder of Curry Agency Inc. 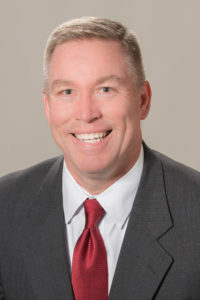 Immediately after college, Todd joined the Navy and had a successful career as a Supply Officer before deciding to leave the Navy and settle in Indianapolis. Prior to starting Curry Agency, Todd spent over 12 years with the largest publicly traded insurer in the United States. He held various roles there, including sales manager. He saw that there was a need for an insurance agency that would take time to get to know its customers and educate them on the coverages offered instead of just quoting price, so he started Curry Agency Inc. When he’s not working, Todd can be found on the golf course, at various sporting events, or spending time with his family. Sheila George Moyer is a licensed sales agent. She grew up in Indianapolis and knows many people in the area. If you need a recommendation for great restaurant, check with her. She enjoys selling car insurance, home insurance, business insurance, and life insurance to our customers in Fishers, Noblesville, Fortville, Carmel, Indianapolis, and more. Michele Taylor is the customer service representative for The Curry Agency. She enjoys spending time with her children, is a Fishers resident and is the friendly voice you’ll usually hear when you call our office. Curry Agency Inc. specializes in helping individuals and businesses understand what they pay for when purchasing insurance. We know it can be confusing, and we want you to be comfortable with your insurance. We can help you understand what various terms mean, so you can decide whether or not they are important to you.